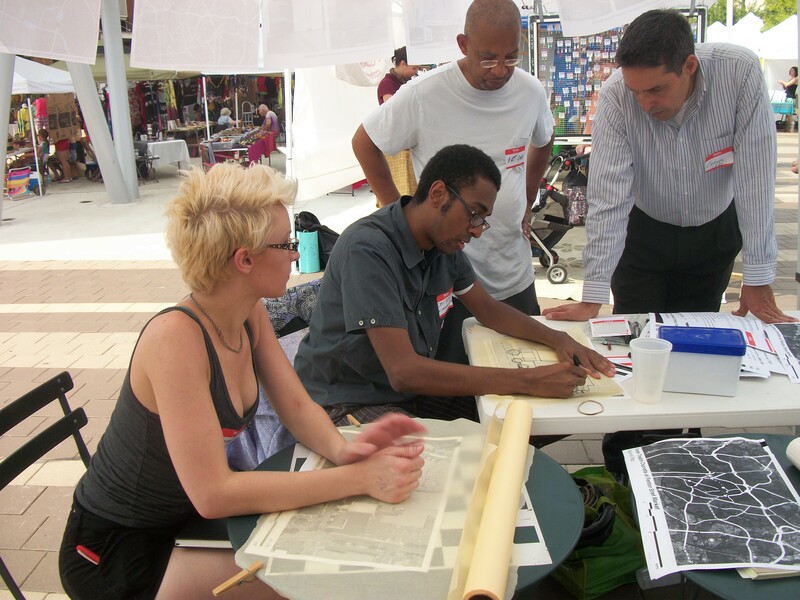 It’s been a busy summer, and I haven’t had time to update this blog, what with launching a new website at my day job and writing about D.C.’s architectural renaissance in The Architect’s Newspaper. I’ve also been working on a longer piece about architecture, real-estate development, and gender. But for the past couple of weeks, I’ve focused on a community project. The goal is to find a viable temporary use for an Art Deco movie theater in my neighborhood that’s been shuttered for four years. Located in Long Branch, one of the densest areas of Montgomery County (17,000 people per square mile–the same density as San Francisco! ), the Flower Theatre and the early 1950s shopping center around it are well-placed to become an attractive, pedestrian-friendly, mixed-use node for East County. 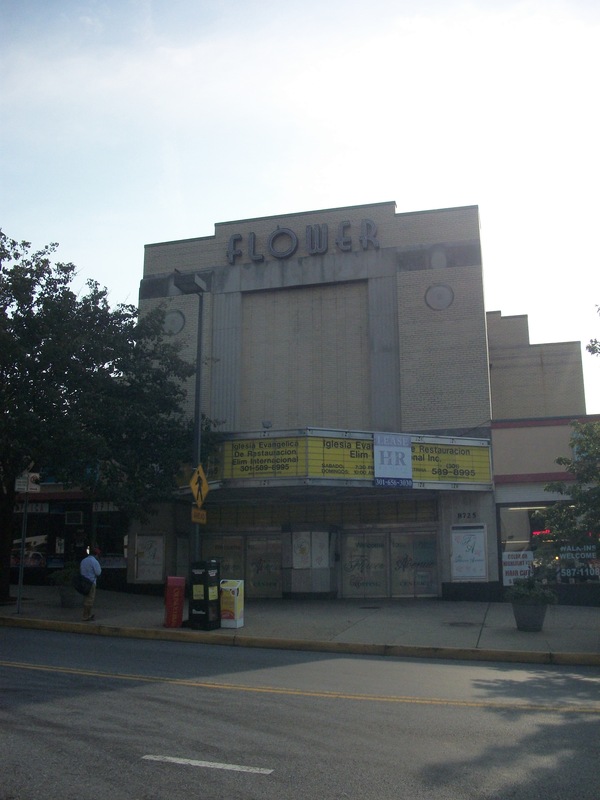 Could a revived Flower Theatre convince the transient patrons of Long Branch to stick around? 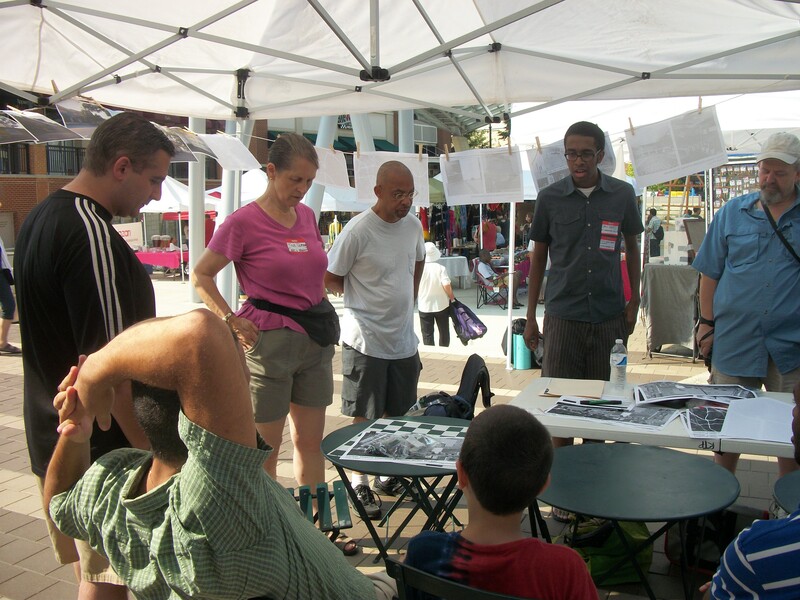 That was one question posed during a charrette on August 4, an open community discussion about the theater’s future. Organized by my friend Dan Reed of Just Up the Pike fame and held at Fenton Street Market, the charrette drew 25 or 30 participants, whose suggestions ranged from setting up a benefit corporation, to screening second-run foreign-language movies in the space, to studying Philly’s Reading Terminal Market as a model. We’ll publish a report on the charrette soon, and we’ll keep talking to local residents, county officials, and business and nonprofit leaders. So stay tuned. I’m optimistic that finding the right temporary use for the theater will spark interest in the Flower Ave./Piney Branch crossroads ahead of the Purple Line arriving (a stop is planned for Arliss St., just two blocks away). Thinking about the Long Branch we want now means we’ll be ready when developers start thinking about it for us, come 2015.